A nice wall-mountable organizer for your Aeropress parts. 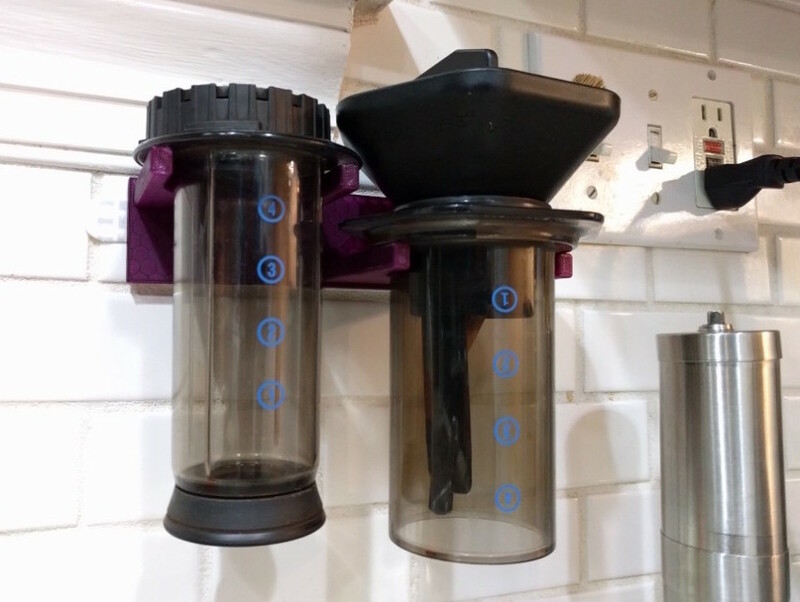 I chopped the design AeroPress Wall Holder LE by jspiro into two parts in FlashPrint. This allowed the print to fit on the bed of my Flashforge Finder. Here’s the updated STL file for printing: AeroPress_wall_holder-two-parts.stl. In keeping with the license on jspiro’s design, this design is licensed Creative Commons CC-BY 3.0.